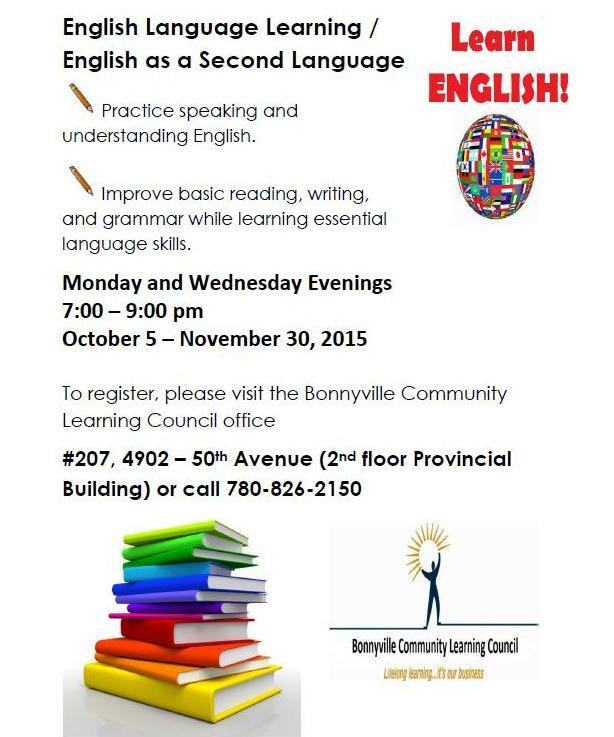 Join us as we begin a new session of ESL, this October 2015. 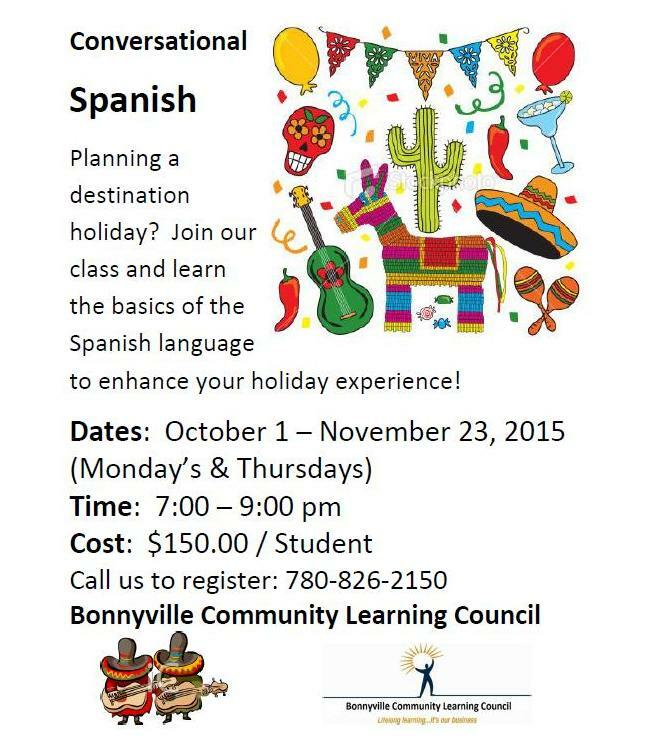 Spanish language classes starting October 1, 2015. Learn basic Spanish to get more out of your winter vacation. Call us at 780-826-2150. 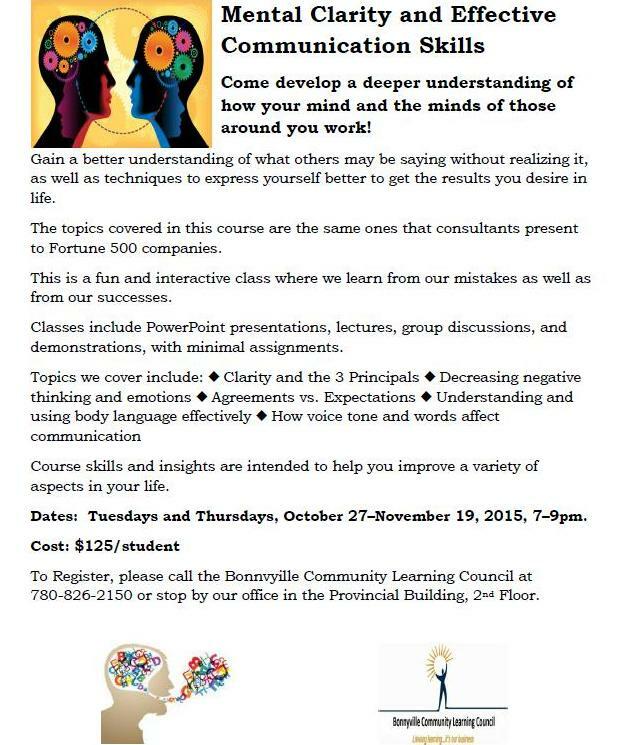 Mental Clarity & Effective Communication workshop starts October 27, 2015. Learn about your legal rights regarding property, children, spousal and child support. 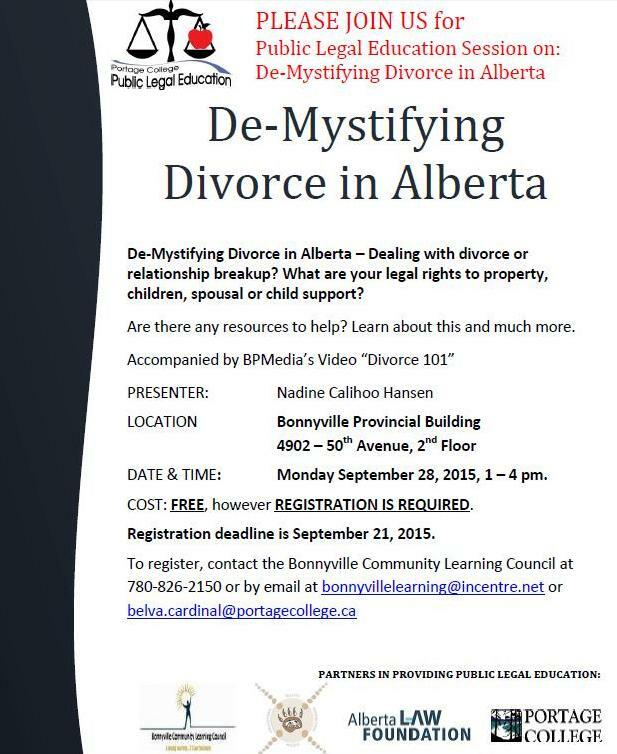 Free seminar September 28, 2015, please call 780-826-2150 to sign up. Learn how to develop a deeper understanding of how your mind works and those of people around you. Gain a better understanding of what others are saying without you realizing it and how to express yourself better to get the results you desire. The topics covered in these sessions are the same used by consultants hired by Fortune 500 companies to share. Classes include Power Point presentations, lectures, group discussion, demonstrations and minimal assignments. Topics covered: Clarity, Decreasing negative thinking and emotions, Agreements vs. Expectations, Understanding and using body language effectively, Voice tonality and how words affect communication. Learn French in a relaxed and friendly environment through topic discussion with a multi-lingual instructor. Improve your language skills while conversing and socializing with other French language learners. Dates: Wednesday Evenings September 16 – December 16, 2015 from 7:00 – 9:00 pm. Cost and classroom location disclosed at registration. 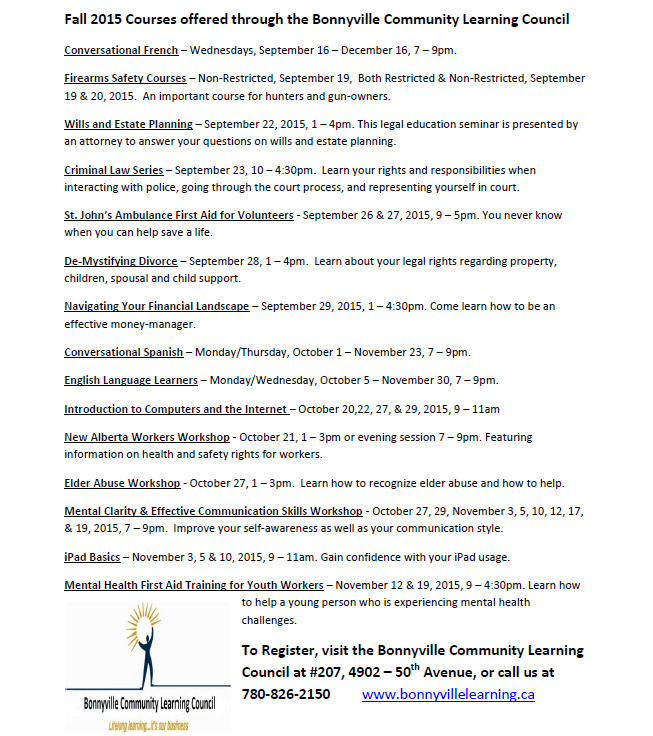 Call the Bonnyville Community Learning Council at 780-826-2150 for information or to register.